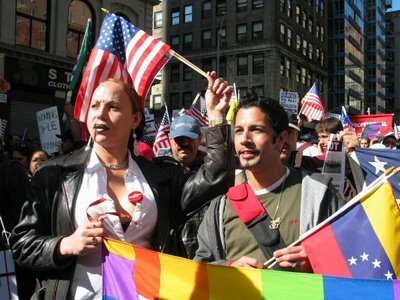 There was a lively lesbian, gay, bisexual and transgender contingent at today's A10 Immigration Rights Rally in NYC. 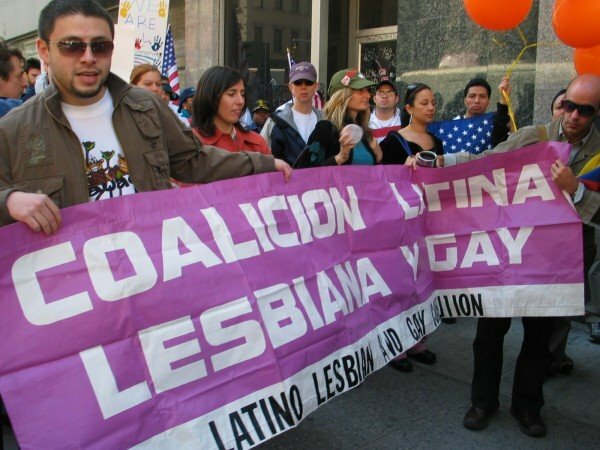 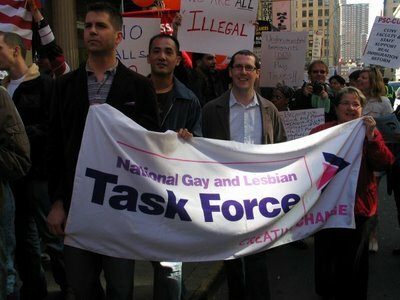 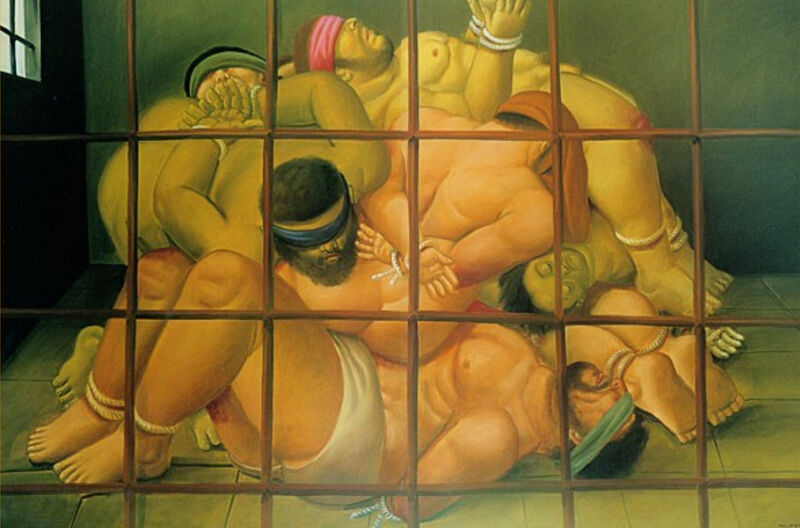 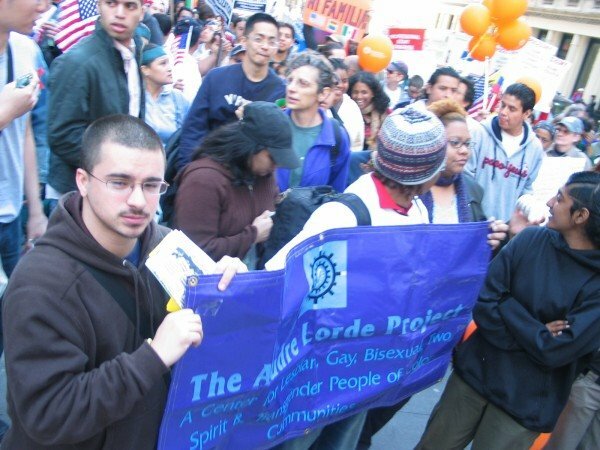 Groups met at the interesction of Church and Vessey Streets, next to the rebuilding zone of the World Trade Center, and included (top to bottom): A contingent from the Gay Men's Health Crisis, the National Gay and Lesbian Task Force, the Audre Lorde Project, the Latino Lesbian and Gay Coalition, and Hombres Latinos de Hambiente (HOLA). 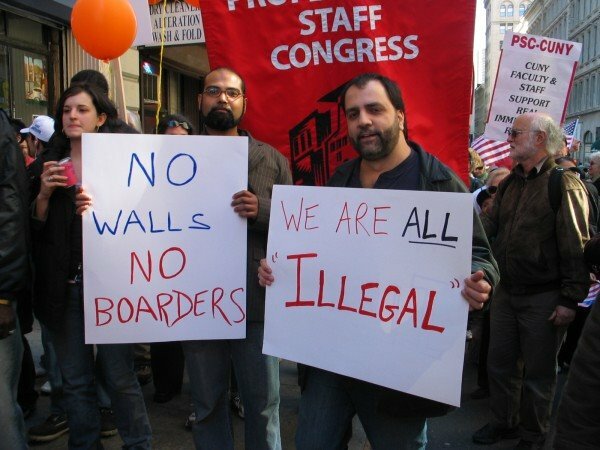 Bottom picture, Debanuj Dasgupta of the Queer Immigrant Rights Project and Joseph DeFilippis of Queers for Economic Justice. 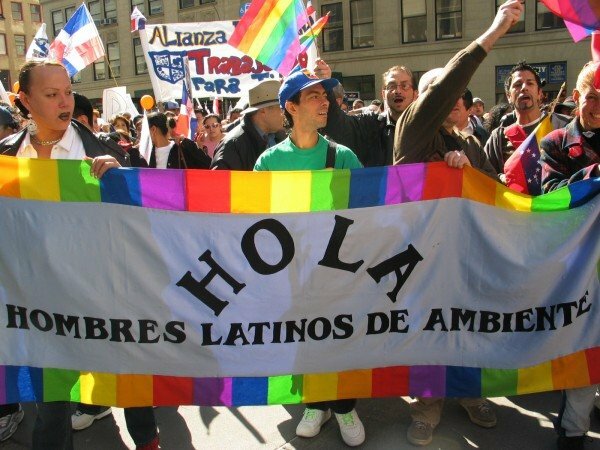 Also seen: The Latino Commission on AIDS, Alianza Dominicana, the NYC LGBT Community Center, the Empire State Pride Agenda, Maria Belen Correa of the Association of Transvestite, Transsexual and Transgender Argentineans (ATTTA), performer Imani Henry, and Immigration Equality. 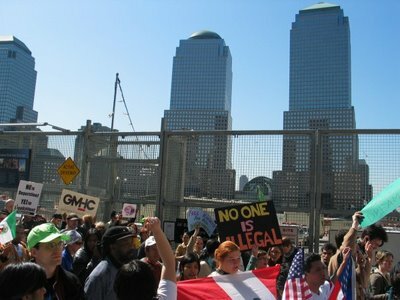 Additional photos here.